Own this artful take on a beloved UW tradition. "Well Red" is a nearly eight-foot high bronze and glass sculpture of the university’s beloved mascot, Bucky Badger. Created by renowned sculptor Douwe Blumberg, the sculpture is in the Wisconsin Alumni Association’s Alumni Park. This authentic hand-painted replica was designed by the artist. Sized to display on your desk or shelf in home or office. 6″ tall, resin, made in USA. 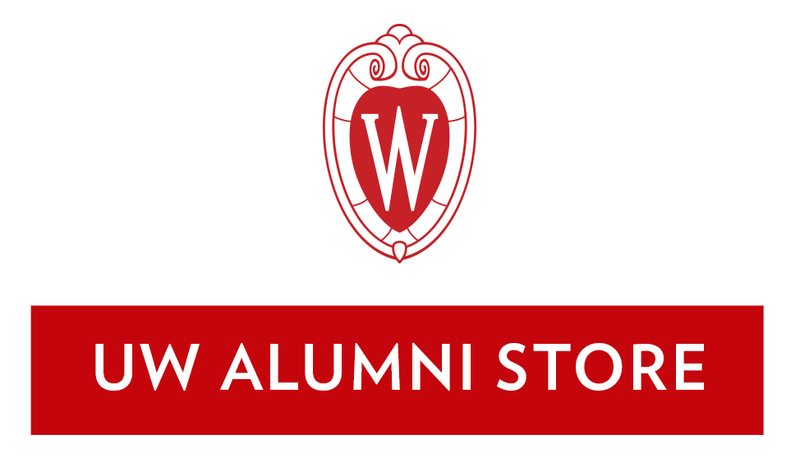 Show your pride with a replica of the Badger Pride Wall in the Wisconsin Alumni Association’s Alumni Park. Designed by Madison artist Nate Koehler, the real Badger Pride Wall is more than 80 feet long and features iconic UW-Madison places and symbols. Display this limited edition reproduction on your desktop or shelf in your home or office. Etched metal with black wood base, 8.5″ x 4″, made in USA. This magnet is a replicate of the 80-foot long and 6-foot high steel Pride wall in Alumni Park. Each magnet represents one section of the wall. The magnet features iconic locations, items, and logos from around campus. The original wall was designed by Madison artist Nate Koehler.